This participatory and crowdsourced recognition program is brilliant for several reasons. First, the focus is on identifying positive deviance rather than generating negative feedback. In other words, it is not a complaints but a rewards system. Second, the program is incentive-based with shared proceeds. 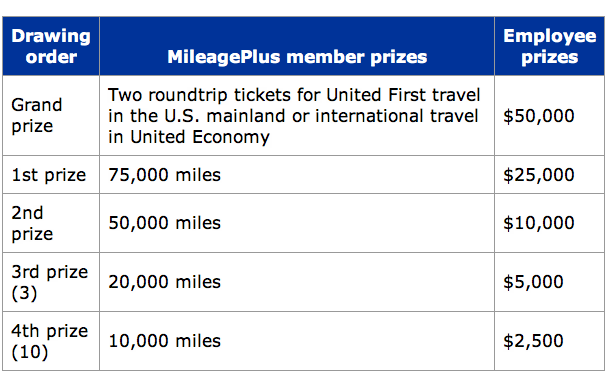 Not only do United employees have the chance to make some extra cash (average salary of flight attendants is $36,128), those who nominate employees for outstanding service also share in the proceeds in the form of free tickets and airline miles. 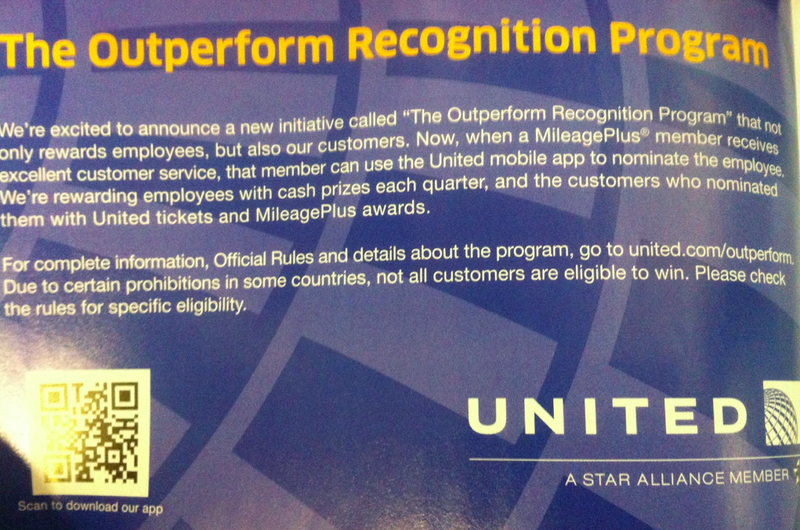 Third, United didn’t develop a new, separate smartphone app or technology for this recognition program; they added the feature directly into the existing United app instead. 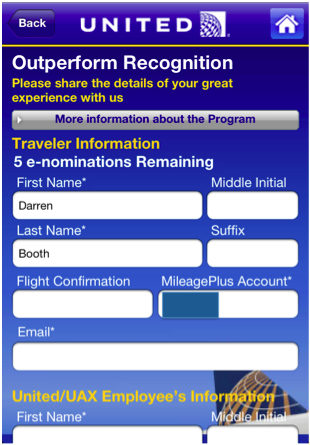 (That said, they ought to give passengers the option of submitting an entry via United’s website as well since not everyone will be comfortable using a smartphone app). I’d also recommend they make some of the submissions available on a decidate section of the United website to give users the option to browse through some of the feedback (and even digg up those they like the most). I wonder whether other airlines in the StarAlliance network will adopt the same (or similar) recognition program. I also wonder whether donors like the World Bank ought to develop a similar solution (perhaps SMS-based) and require the use of this service for all projects funded by the Bank. This entry was posted in Crowdsourcing, Humanitarian Technologies and tagged Accountability, Airlines, Bank, Mobile, Program, Recognition, United, World. Bookmark the permalink. It’s a great idea and in the developing world as well getting feedback is a big missing link–but the incentives need to be correct. I know far too many NGO beneficiaries who will give a thumbs up to a broken project if it means a shot at a decent prize. How do we make sure we keep the nuance and qualitative depth of good feedback with incentives and tech?